Founded in 1451, the University of Glasgow is one of the oldest universities in the UK and is recognized in many countries around the world. Located in the heart of one of the world's most vibrant and vibrant cities, Glasgow Caledonian University boasts state-of-the-art facilities, top-notch student support, and strength in career orientation. for students. 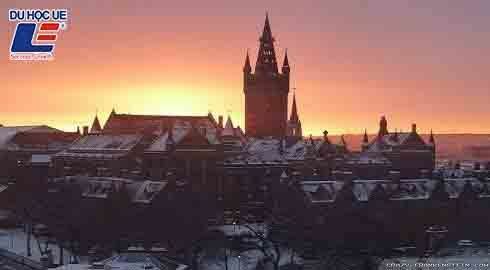 University of Glasgow - the school that inspired and trained talented people like Adam Smith, the father of economics. The university has a history of only less than Oxford University and Cambridge, which ranks fourth among the oldest in the UK. In terms of academic tradition, Glasgow is consistently ranked among the top 1% of the world's best universities (according to the QS rankings). Possesses massive library with 2.5 million books and over 30,000 magazines. Some of the other amenities you will experience in Glasgow include 800 PCs and free WIFI coverage. Sports activities are no less exciting when there are 47 sports clubs with heated swimming pools, steam rooms, gyms, soccer fields, gyms, cricket courts and tennis courts. The campus has three campuses: the dynamic and friendly Gilmorehill, located in the west; Garscube is about 6.5 km (4 miles) from the city. The third camp is located in Dumfries, about 145 km south of Glasgow and 90 km north of Glasgow. The Dumfries area is also home to the University of Research for the Study of the Arts. - Glasgow was voted "European City of Culture" and "City of Architecture and Design of England". - Ranked 14th in the UK according to The Times Good University 2013. - Ranked 60th in the world, ranked third in the UK and first in Scotland in terms of student satisfaction. - The leading modern university in Scotland for "research capacity" (REF 2014). - Special programs in Oil & Gas, Fashion Marketing, Risk Management and Built Environment. 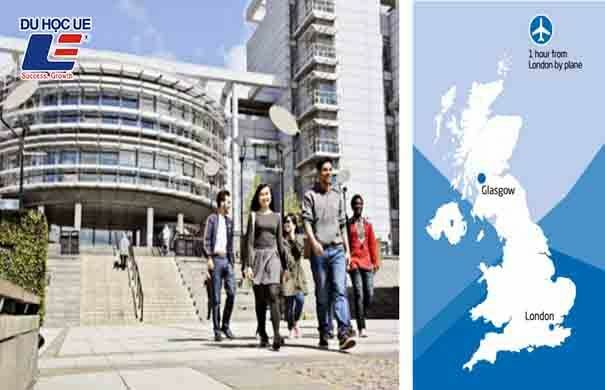 - The modern and vibrant campus is located on the heart of Glasgow city, Scotland's largest city. - Being located in three universities, Glasgow has a diverse student population of approximately 100,000. - There are international standard museums and galleries, a wide variety of world cuisines and the second largest retail center in the UK. - Ranked in the top 10 cities in the world (Roough Guide 2014) with people known for friendliness. - Glasgow is one of the lowest living expenses in the UK: 40% lower than in London. - An ideal place to start exploring Scotland: less than 30 minutes drive to Loch Lomond and Trossachs National Park, 1 hour to Edinburgh. - A member of the Russell Group - the top 20 research universities in the UK. - The University of Glasgow is ranked 2nd in the UK in Sports Science. - Ranked # 6 in the UK for Accounting and Finance, 7th for Sociology. - Ranked 9th in the UK for Economics, Electrical Engineering - Electronics, Physics and Atomics. - Ranked 10th, 14th and 16th in the UK for Biological Sciences, Aerospace, and Mathematics. 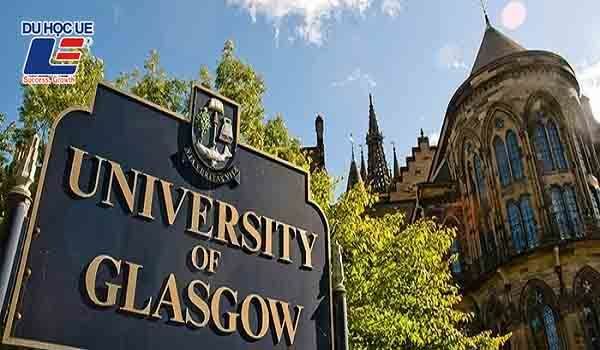 £ 2,000 - £ 3,000 Scholarship available at Glasgow University. - £ 1000 scholarships (GPA 7.5-7.9). - Scholarships £ 2000 (GPA above 8.0). - Scholarships £ 4000 (GPA on 8.0, 300-400 essays and scholarship interviews). Scholarships offered: Foundation; College ; Graduate Diploma.